Dallas-based Fox4 and longtime reporter Melissa Cutler have parted ways. Cutler confirmed Wednesday to unclebarky.com that she’s “starting a new career in real estate” in tandem with her husband. They’ve been buying a “number of properties” since 2003, Cutler said. ”Let’s see how far we can go.” Her last day at Fox4 was Friday. Cutler joined Fox4 in July 2001 from ABC affiliate WQAD-TV in Moline, Illinois, where she had anchored for two years. Her twins, a boy and a girl, were born shortly before the move to Dallas. They are now 15. She previously worked as a reporter for four years at Kansas City’s KSHB-TV. 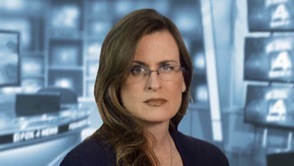 Former Fox4 colleague and investigative reporter Becky Oliver also is newly in the real estate business after retiring from the station last year.